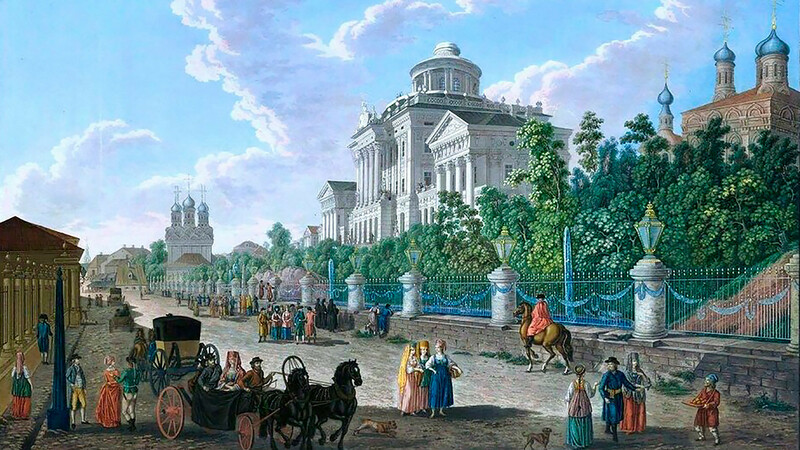 View of the Mokhovaya street and Pashkov House, Moscow, 1798. Gérard de la Barthe, Cornelis de Bruijn, Auguste Jean Baptiste Antoine Cadolle – few people today have heard of these European artists. 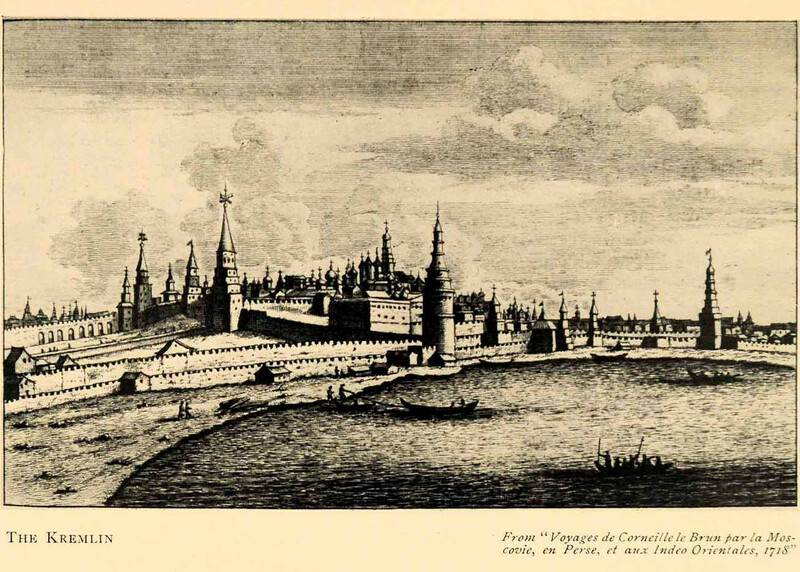 But thanks to their work we can get an idea of what Moscow looked like hundreds of years ago. In September 1812, Napoleon's troops entered Moscow. A fire that raged for several days destroyed most of the city, and since landscapes were not particularly popular in Russia in the late 18th and early 19th centuries very few depictions of pre-1812 Moscow remain. This is why works by European artists who happened to be in Russia at the time are such valuable sources of information about this period. 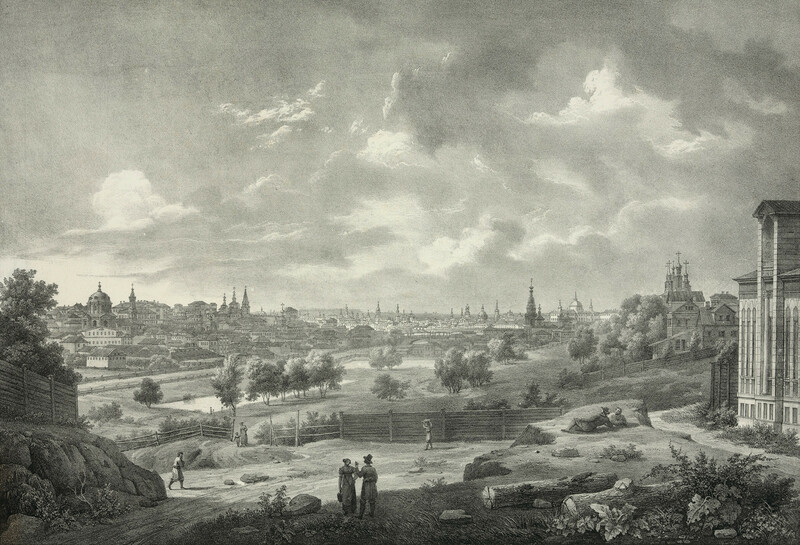 View from the Sparrow Hills, 1714. One such artist was Cornelis de Bruijn, a Dutch traveler, author and artist. In the early 18th century, he visited the Russian Empire, where he was received by the court of Peter the Great and would leave invaluable accounts of life in Russia at the time. In a book published after his return to the Netherlands, de Bruijn provided a detailed description of Moscow's layout and architecture, noting in particular how amazed he was by the procedure for buying and selling houses. Houses were “sold completely ready-made, the same as private quarters and individual rooms. These houses are built of logs, or tree trunks, which are assembled in such a way so that they can be taken apart, moved piece by piece to any location, where they can be put together again in a very short time." De Bruijn also left detailed accounts of Muscovites' festivities and customs, clothes and food, noting in particular cabbage and cucumbers, which he said locals ate like people in other countries ate apples and pears. A view of Moscow from the balcony of the Emperor's Palace. 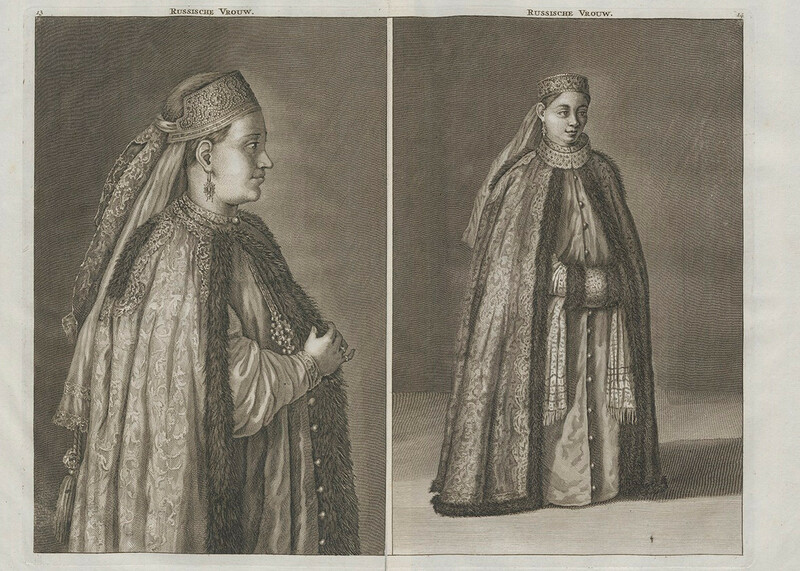 An engraving by an unknown artist after the painting by Gerard De La Barth, 1800s. The State History Museum, Moscow. 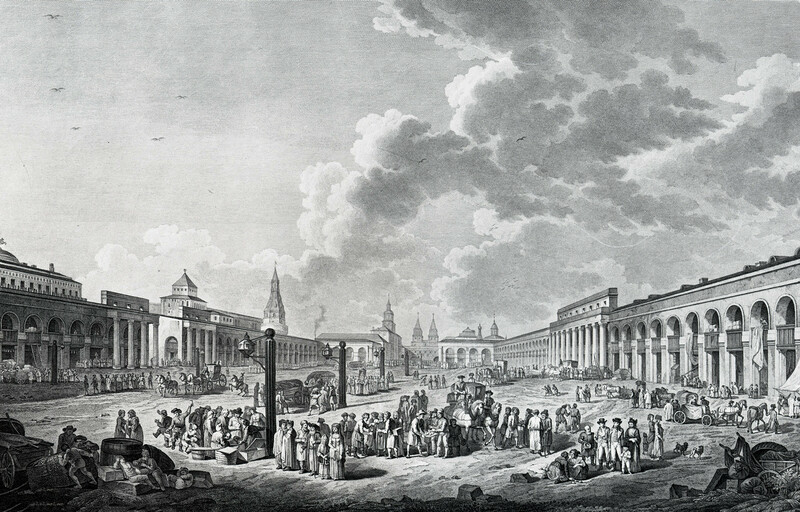 "Red Square", an etching by Gerard Delabart, late 18th century. The State History Museum, Moscow. The story of another European artist who worked in Russia in the late 18th century, Gérard de la Barthe, is less well known. He was born in 1730 in Rouen, was educated in Paris and then in the late 1780s came to Russia, where he created a series of works with views of Moscow and St. Petersburg. He specialized not only in landscapes but also in genre art. 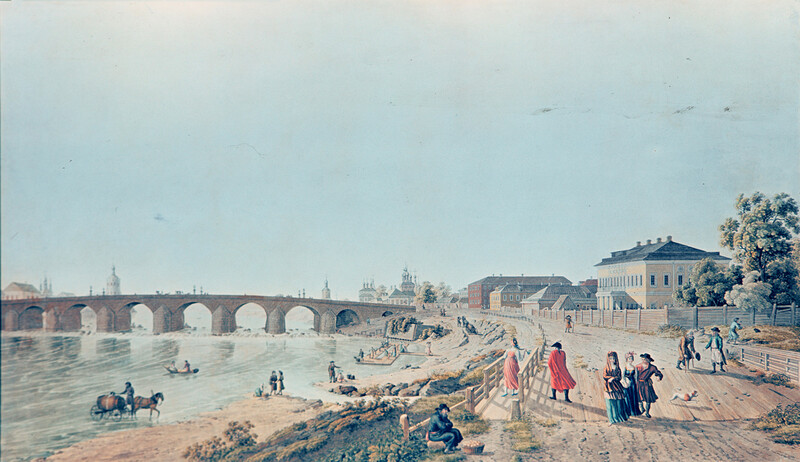 "View of Stone Bridge and its surroundings in Moscow from a wooden overpass and Naugolnaya Tower", an etching by G.Lori after the 1796 Gerard Delabart's drawing. Looking at one of de la Barthe's first landscapes of Moscow nowadays, it is hard to imagine that this sandy embankment and these crooked wooden houses were located just several hundred meters from the Kremlin where the Cathedral of Christ the Savior stands today. A dog devouring a bone, beggars, noblemen taking a stroll, commoners and dockworkers all were a part of the rich tapestry of the city’s life. 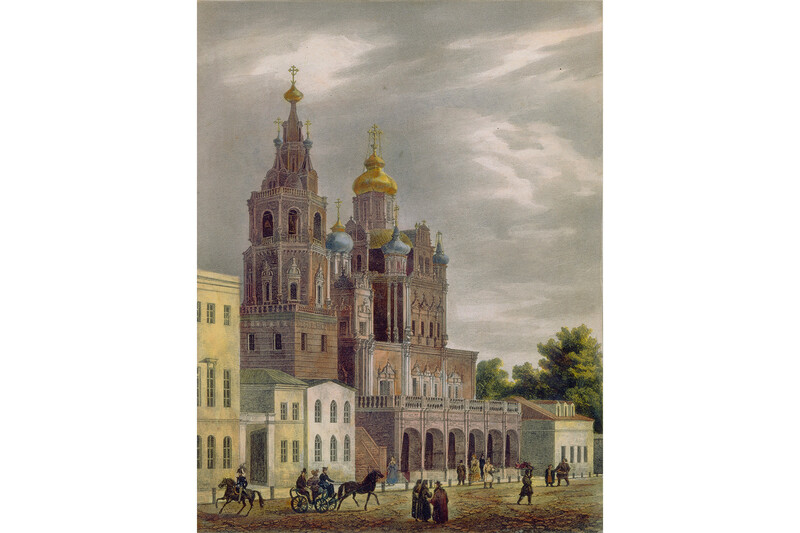 The Church of the Dormition of the Theotokos at the Pokrovka Street in Moscow, 1825. 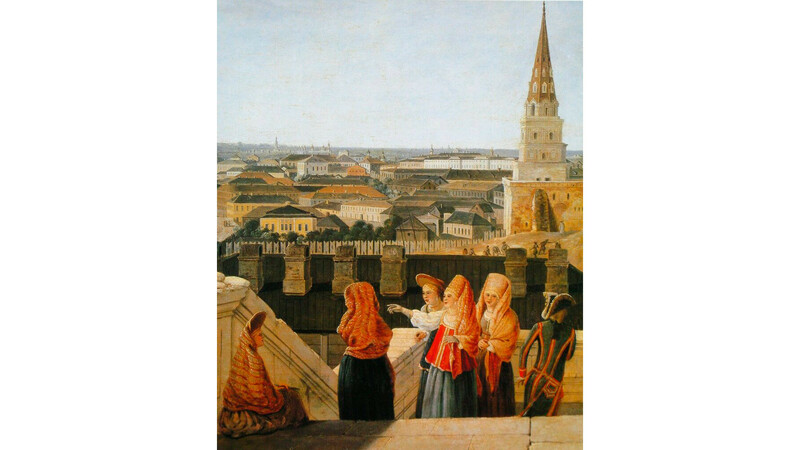 Interestingly, in many of de la Barthe's works, the Kremlin’s walls and towers, built from red brick, were depicted as being white, suggesting that for several centuries the famous Moscow fortress was regularly painted white. The story of another French artist, Auguste Jean Baptiste Antoine Cadolle, could easily be turned into an adventure movie. Over the Yauza River in Moscow, c. 1830. Born into a modest Parisian bourgeois family, he dreamed of becoming a painter and even studied at the studio of a famous landscape artist named Jean-Victor Bertin. Nevertheless, in 1812 he enlisted as a volunteer in Napoleon's army. Cadolle’s military career was cut short in 1813 when he was taken prisoner by the Russians, but, thanks to his easy-going character, he learned Russian and returned to France just a year later. 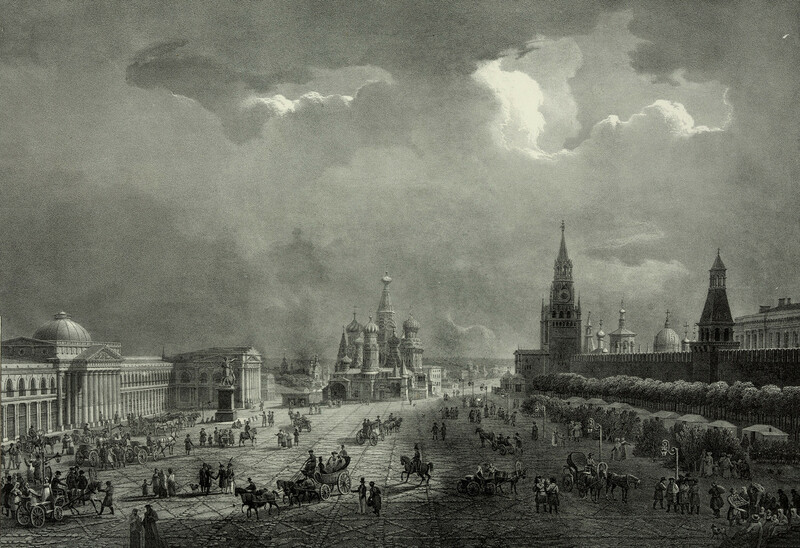 Upper Trading Rows at the Red Square in Moscow, c. 1830. In 1819, King Louis XVIII ordered him to travel to Russia to work as a painter, depicting Moscow as it was being restored after the 1812 fire. In effect, the young artist became a secret agent. 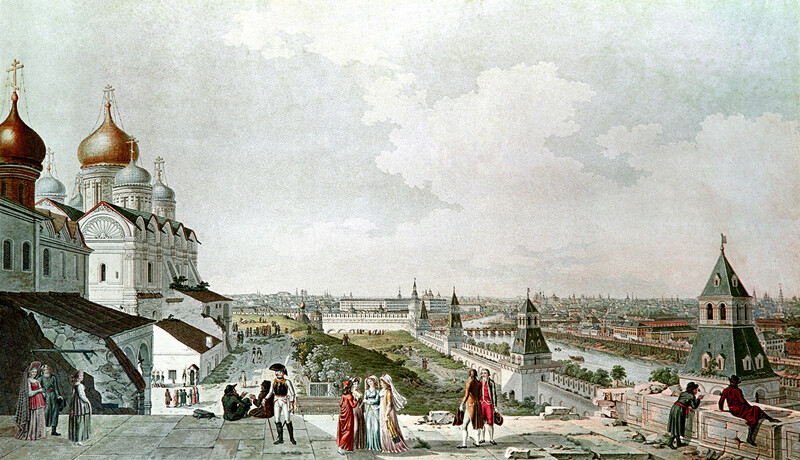 View of Moscow from the balcony of Imperial Palace, 1797. One of his most interesting and symbolic works depicts Muscovites walking up and down Tverskoy Boulevard, which is where French troops had established their camp in the fall of 1812 when Napoleon's army entered Moscow. At the time, almost all the lindens that lined the boulevard were cut down and used to make fires. This is where the French cooked their meals on fires and sorted through items they had looted from local residents. 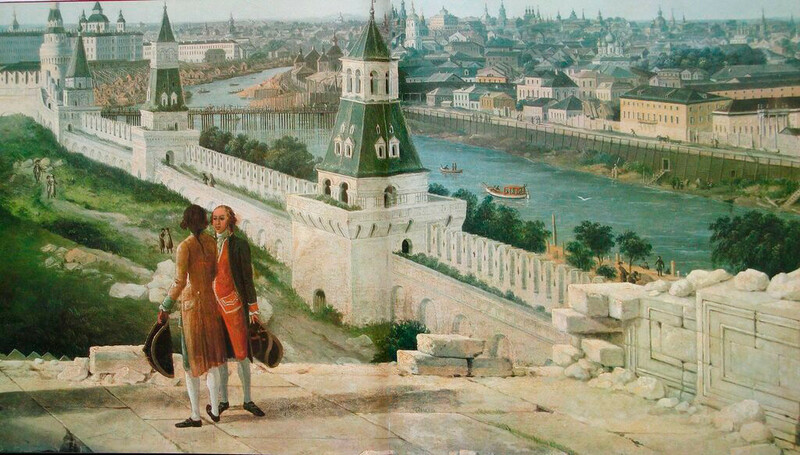 View of Moscow from the balcony Kremlin Palace, 1797.